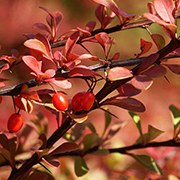 The Berberis genus consists of a vast number of tall and small plants. With 450-500 species within this large family, numerous cultivars and hybrids are chosen for their characteristics. Grown for their wonderful visual features such as ornamental leaves, beautiful flowers, glossy berries and seasonal interest, Berberis hedging plants are a great addition to any garden design. Renowned for their aesthetic appearance, these multi-purpose shrubs also have an abundance of uses as their beauty is paralleled by their practicality. 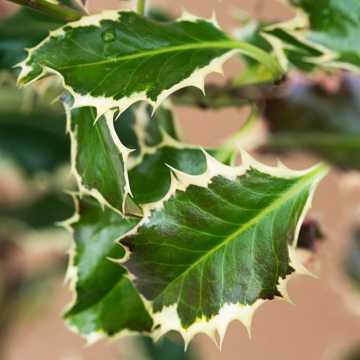 The prickly nature of Berberis plants make the ideal intruder barrier as any unwanted visitors will shy away from the long, sharp spikes, hidden amongst the eye-catching foliage and staggered up and down the sturdy branches. 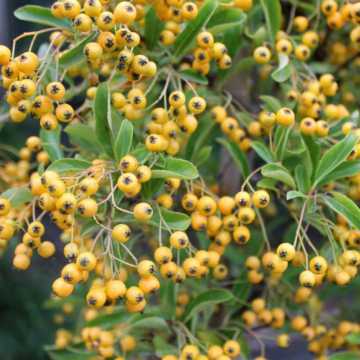 Become a wildlife friendly gardener by establishing a Berberis bush as they provide many attributes that appeal to a diversity of wildlife. Their prickly, densely situated branches offer an ideal nesting sites for birds within a secure, predator proof barrier, whilst the spring flowers are adored by bees and butterflies and the luscious berries provide a vital food source for an array of British birds and small animals. 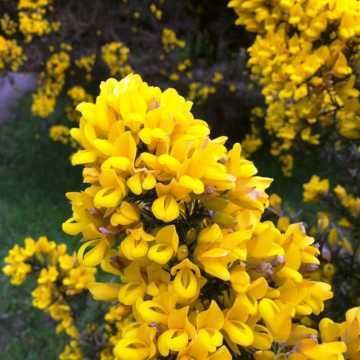 By enticing wildlife with Berberis hedging plants, you can monitor the entries and departures of a range of creatures, receive the multiple benefits they bring and willingly know you are contributing to the conservation of a declining population of British wildlife. Difficult growing conditions are a gardeners foe as they can restrict your choice of plants and can often cause a garden to be neglected. Berberis hedge plants are a gardeners friend as they will thrive in the most challenging conditions so you can develop your Berberis hedge with no limitations or worries. 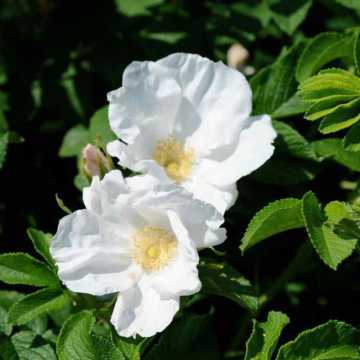 Poor soils, full shade and exposed coastal environments are no threat to these sturdy shrubs, so dont let hindering planting sites deter your gardening goals. We have the best selection of Berberis hedging plants, each having a distinctive set of attributes, perfect for achieving your every gardening need. Some, but not all of our Berberis plants are available as Bare Roots and Cell Grown plants, however all are available as Pot Grown so you can attain your favourite Berberis plants year round. Famous for their intense foliage and fantastic spring flowers, Berberis hedge plants and their stunning appearance bring an exciting and colourful feature to your garden. For lovely shades of purple, consider the recipient of the RHS Award of Garden Merit, Berberis thunbergii atropurpurea. 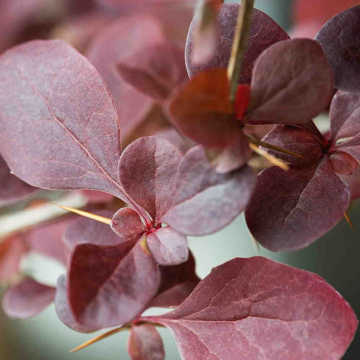 Its dark purple leaves sit on a slightly lighter shaded stems, before transforming into rich shades of orange and red in Autumn. 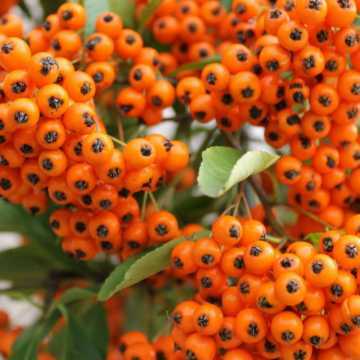 The attractive foliage is joined by lovely cup shaped, spring flowers, displaying complimentary tints of yellow and red, followed by polished red berries. Being deciduous, the leaves will fall during winter but the spikes and dense framework of this plant provides cover throughout the cold months. Plant Berberis thunbergii atropurpea as a single species hedge for a unique look or utilise the dark tints as a background to emphasise brighter coloured plants and shrubs. For more Berberis shrubs with purple foliage take a look at Berberis x ottawensis. 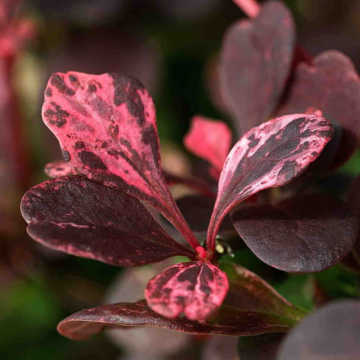 Elaborate forms of purple foliage are displayed by the variegated leaf colour of Berberis thunbergii Rose Glow. Recognised by the RHS receiving the Award of Garden Merit, this Berberis shrub is the perfect way to bring an intricate coloured feature to your green space. Adore the beautiful marbled effect of dark and light pink leaves exhibited by Berberis thunbergii Rose Glow and the complex changing colours of this hedging plant which continue as its leaves turn a fiery red in Autumn before falling in winter. Beautiful flowers are also produced by Berberis thunbergii Rose Glow which develops contrasting yellow flowers trailed by glossy red fruits. Berberis thunbergii, also known as Japanese Barberry, is famous for its light green foliage that boasts powerful shades of opposing reds, yellows and orange in autumn. 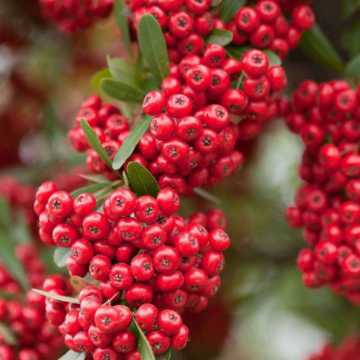 The extravagant Autumn foliage is joined by oval berries that showcase shiny shades of scarlet red, which appear after the soft yellow flowers in spring. Its deciduous nature sees its colourful foliage fall from the branches in Winter, but like all of our deciduous Berberis hedging plants, its intertwining branches and sharp spikes provide sufficient Winter cover. 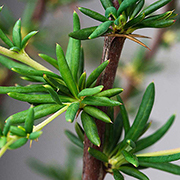 Choose from a range of evergreen Berberis hedging plants that will offer year round interest. The ever present foliage offers constant cover, which not only creates endless visual impact, but plays an important role in wildlifes survival as it provides impeccable protection for birds, insects and other small animals during Winter. The sleek, dark green leaves of Berberis julianae and Berberis x stenophylla sit on long woody stems, enriched by the cluster of spring flowers that parade astonishing shades of yellow, followed by distinctive blue berries in Autumn. Yet another recipient of the RHS Award of Garden Merit, Berberis darwinii is one of our most popular evergreen options for its alternating colour. 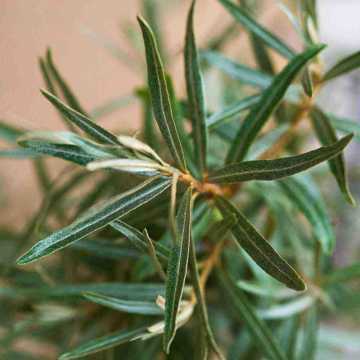 Although it is evergreen, this common shrub adopts rusty red autumn colours and remains throughout winter. This exceptional characteristic, also experienced by Berberis juliane, allows you to gain seasonal colour without losing foliage over winter. 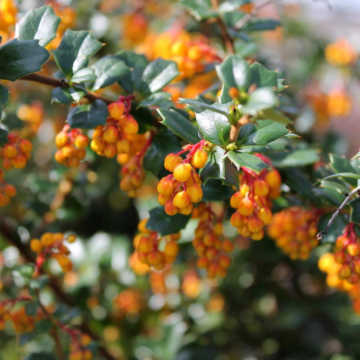 Seen profusely in numerous garden designs for their ability to create structure, highlighting pathways and larger garden features or to create a certain focal points, low and slow growing Berberis plants are a gardeners dream. Great alternatives to the frequently used Box, Japanese Holly and Euonymous Jean Hugues, the compact nature of our low and slow growing Berberis plants are also commonly planted as pedestrian barriers, positioned underneath windows, around the outskirts of a garden and other access points. With an average growth rate of 10-20cm per year, ideal for hedges up to 1m in height, these Berberis shrubs require little maintenance. Include planting essentials such as a self-irrigation kit to your garden, and you can care for your prickly feature from the comfort of your living room. Choose from Berberis thunbergii Rose glow, Berberis thunbergii atropurprupurea and Berberis thunbergii to satisfy your low and slow growing gardening needs. Taller-growing species are valued for crime prevention; being very dense, viciously spiny shrubs, they make very effective barriers, impenetrable to burglars. Their sizable stature of up to 3m in height and an average growth rate of 30-60cm per year, tall growing Berberis plants bring efficient impact to a garden as it creates the perfect privacy screen, capable of reducing the amount of wind and noise from passing through it. Choose form Berberis darwinii, Berberis julianae, Berberis x stenophylla and Berberis x ottawensis to achieve a large Berberis hedge. Plant Berberis plants in a single row or a double staggered row depending on the lateral dimension you wish your final hedge to be. Their bushy appearance means they can be left to grow for a natural looking feature, or they can be trimmed and shaped to generate a more formal aesthetic. Although our selection of Berberis plants form an incredible single species hedge, when combined they fashion a wondrous hedgerow, filled with an assortment of colours, shapes and textures with interest for every season. Prune Berberis in Autumn after the berries have fallen or taken by hungry birds by either cutting back long branches or maintaining its overall shape. 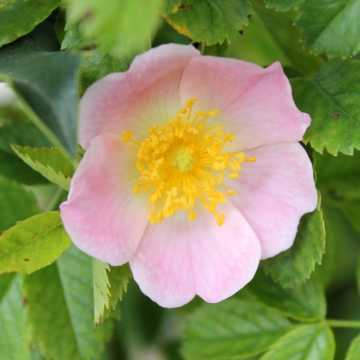 We have a great selection of prickly alternatives including a collection of both evergreen and deciduous species with flowers and berries in abundance, providing seasonal colour and wildlife interest all year round.